‘Catch’ the premium and widely recognized F&B brand of the country announces new brand strategy with the positioning, “100% Indian Woman Ka Match Sirf Catch”. The new campaign focuses on contemporary Indian women and is designed with the objective to establish an emotional connect with them. The new 45 sec TVC highlights the fact that very few things in life give us 100% satisfaction except Catch, a brand that guarantees 100% satisfaction and matches the expectations of the contemporary Indian woman. 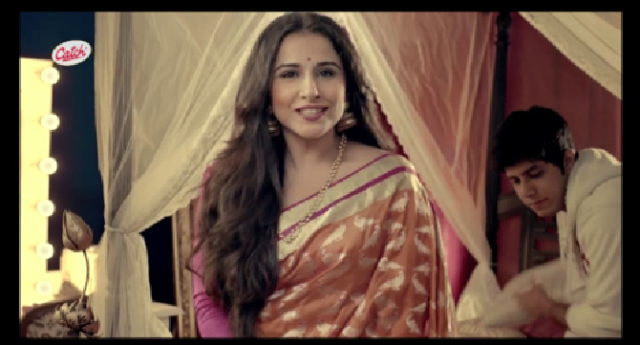 This campaign features Vidya Balan, who is an ideal example of the multifaceted Indian woman, who successfully juggles different facets of life and still manages to give her best to whatever she does. Similarly, Catch as a brand has always strived to offer the best to the consumers with regards to every aspect of the product. Therefore, celebrating the 100% Indian Woman’s match is the communication platform that Catch focuses on. Commenting on this occasion Mr. O.P. Khanduja, Associate Business Head, Dharampal Satyapal Ltd. (Foods Division), said, “Through our newly adapted brand strategy we aim to reach out to the contemporary Indian women of modern India. This campaign will feature Vidya Balan, who has worked her way into stardom and in many ways defines the qualities of the 100% Indian woman. This will be a major step forward in establishing Catch as a brand in the hearts and minds of consumers across India and will be an important marketing initiative for Catch. This will go a long way in stamping its superiority over the competition”. The film, in a lighter vein, shows an ambitious Vidya talking about what she had wanted in life and how much she has achieved so far. In the final analysis, she gives 100% marks to Catch Spices. The tagline sums it up by saying “100% Indian Woman Ka Match Sirf Catch”. It is created by Everest Brand Solutions. The campaign embarks by releasing TVC followed by Print Ads, POS materials, Outdoors, Engagement plan etc. India’s foremost spices brand Catch, a part of the Rs. 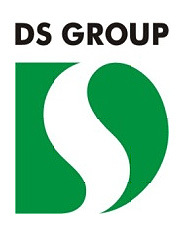 3300-crore DS Group, has revolutionized the Indian spice industry with its wide range of spices and seasonings. Catch Spices has been conferred the ‘Master Brand’ award for the year 2013, in recognition of its market dominance, its goodwill and loyalty amongst consumers, brand resilience and positive market feedback. This further reaffirms that Catch Spices has built up strong brand equity over the years through its constant emphasis on superior quality, innovation and its ability to read the consumer sentiments and market trends correctly. ‘Catch’ was launched in 1987 with the Catch Salt & Pepper rotatory table top sprinkler as offering, thus becoming the first Indian brand that led to shifting the usage of salt and pepper from kitchen to the dining table. It has since then expanded its range and is now a preferred household name in the spice industry. With more than 63 variants across 6 product categories - Sprinklers, Straight spices, blended spices, Straight premium spices, Whole spices and Hing; it caters to the diverse Indian palate. With new product variants under the brand umbrella and extended product range, there are over 200 SKUs for both household and Institutional buyers.